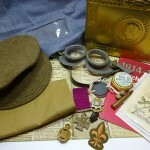 The Discovery Boxes are packed full of handling objects and case studies for you to use in the classroom, for only £15 a week, £60 per half term or £120 for a full term. 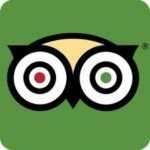 Containing original and replica artefacts and teacher notes (which you can also download below), they offer effective teaching resources on a number of curriculum subjects. Teachers collect and return the Discovery Boxes to the Museum usually on Saturdays, but other arrangements can be made with our Learning Officer. Please note, there are extra charges if objects are returned damaged or lost. 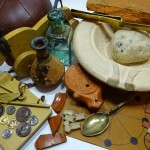 Objects include: Square Glass Bottle, Chatelaine/ Health and Beauty Set, Strigil, Wax Writing Tablet and Stylus, Oil Lamp, Mortarium and Grinding Stone, Roman Spoon, 5 Knucklebones, Roof Tile, 3 Samian Ware Pot Sherds, and Replica Roman Terracotta vase. 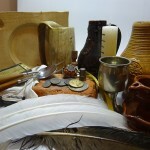 Objects include: Brick from Richmond Palace, Horn comb, Bellarmine jug, Stump baby, Earthenware beaker, Hours candle, Tudor Oil Lamp, Metal and wood fork and spoon, Pomander, 5 brown feather quills, 4 white feather quills, Horn book, Thimble, Cap (coif), neckerchief (partlet) and apron, Horn Mug, Wooden Plate (Trencher), Pewter Wine Goblet and 8 Tudor Coins. 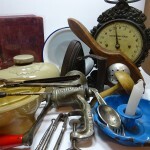 Objects include: 2 Button Hooks, Tea Strainer, copy of Mrs Beeton’s All About Cookery, Mincer, Jelly Mould, Candle Holder, Curling Iron, Hot Water Bottles, Darning Mushroom, Weighing Scales, Fruit Press, Chamber Pot, Nutcrackers and a Flat Iron. 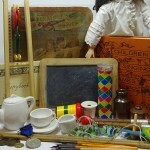 Objects include: Attendance Medal, 3 Sailor Collars , 3 Pinafores, Slate Pencils and Chalks, 5 Slates, 5 Ink Pens, 10 Copybooks, Book: Children’s Singing Games, 1894, Diablo, Laminated Scrap Book, 2 wooden spinning tops, Kaleidoscope, Skipping Rope, China Tea Set, Replica Porcelain Doll, Cup and Ball, Wooden Acrobat Toy, Glass Marbles, 2 Victorian Pennies and Victorian Gold Sovereign (replica). 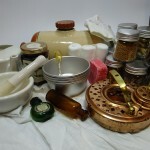 Objects include: 10 Herbal Remedy Jars, Pestle and Mortar, Gauze Bandages, Carbolic Soap, Nursing Teapot, Invalid Food: Beef Extract and Oxo, Small Smelling Salts Phial, Medicine Phial, 4 Basins, 1 Spoon, Victorian Hot Water Bottle, Replica Candle Lantern, Nurse’s Bonnet, and 2 Nurse’s Aprons, Pin Bib, Tie Waist. 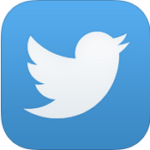 Teachers notes include case studies on Florence Nightingale, Mary Seacole and background information on Victorian medicine, illnesses and the Crimean War. 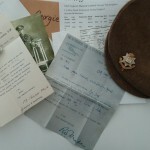 Object include: Newspaper of the day War declared, Silk Postcard (original), Wash Bag, Hypno Helmet, Trench Cap, East Surrey Regiment Cap Badge (original), On War Service Badge (original), Volunteer War Worker Badge, 303 Cartridge (original) , Dog Tags, Shrapnel – 3 lead balls (original), Foot Salve, Princess Mary Christmas Tin, Infantry Scout Badge, Gas Goggles, Victoria Cross, Teachers Notes and Exhibition Resource Booklet. 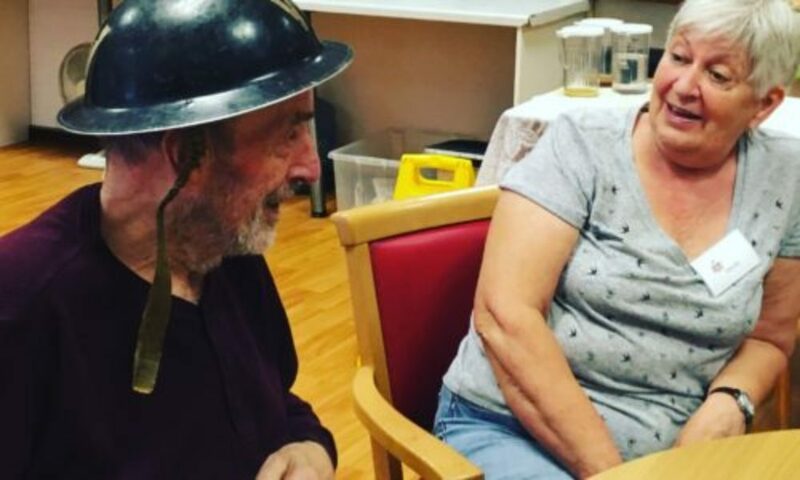 Contains profiles of six Richmond residents, with a mix of original and replica objects and documents to further support hand on learning and to help pupils engage with the real people behind the stories. 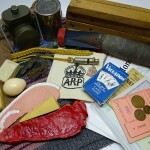 Objects include: Utility Stockings, Jumblex War Time Game, Gas Rattle, WVS Badge, Warden’s Whistle, 4 Pieces of Shrapnel, Tin of Dried Egg, 2 Air Raid Patrol Volunteer Arm Bands, Air Raid Patrol Black Out Lamp, Incendiary Bomb and Fin, Farthing, Half Penny, Penny, Weekly Rations Replicas, Evacuation Card Game, Identity Card, Ration Book, Clothes Ration Book, Knitted Child’s Vest, Was Your House Hit? Booklet and Roll of Honour Booklet.